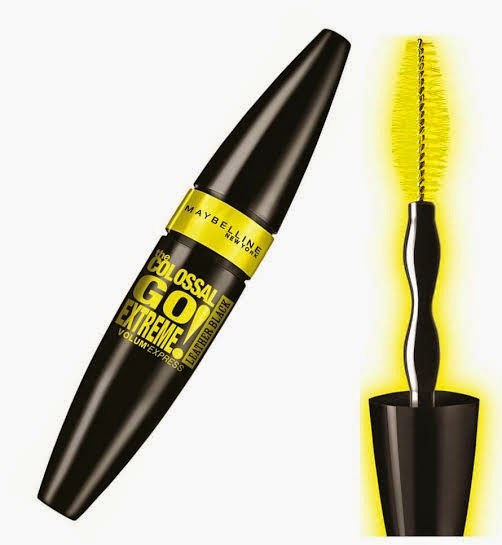 Harness the power of black leather pigment to create the darkest, most intense look.For bold-looking lashes, Maybelline New York's new Colossal Go Extreme Leather Black Mascara notches up the drama to another level.Following the success of its 2014 Colossal Go Extreme mascara, Maybelline keeps on surprising with a new unique addition to the Colossal family.It's all new black packaging reflects the distinctiveness of this mascara, emphasizing its uniquely dark, and dramatic volume. Breakthrough technology is evident in both the formula and the brush.It's formula is rich in black leather pigments for a deep, matte, and dark.Lashes are drenched in 100% of the boldest black matte pigment with 100% opacity for a look that adds richness, definition and sophistication to eyes. This Mascara has a double curved stem and the biggest brush.The curves on the wand load a double shot of Mascara on to the bristles for 16 times more volume, all without a single clump! The patented brush has extra-large bristles in a helix shape to add extreme volume to each lash while lifting and fanning them out.The result is pumped up, voluminous lashes with an intense, bold look.